Yo Gabba Gabba is one of my almost 3yr olds favorite shows to watch. 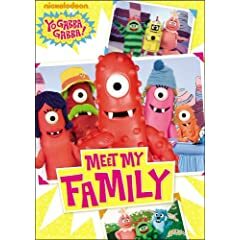 I was more than excited for him to receive the new DVD from Yo Gabba Gabba titled Meet My Family to add to his dvd collection. He enjoys watching his DVDS in the car while bringing his older brothers to and from school. This DVD helps little ones understand what a family is by introducing Muno's family and also DJ Lance's sister stops by for a visit. With Christmas around the corner Yo Gabba Gabba has added a Christmas Book to their collection. The title of the book is "Christmas in Gabba Land". It is a little board book that lets you insert your child's picture in the front of the book and in the back. It talks about decorating the Christmas tree as well as gift exchanging. Great book to read to get ready for the holiday season! What happens in Gabba Land at Christmas time? The Gabba gang decorates the tree and makes presents... and takes pictures of the festivities! This padded board book with photo sleeves lets kids see themselves in Gabba land! Yo Gabba Gabba! fans have another reason to “get the sillies out” and “go crazy” in living rooms nationwide with the first Yo Gabba Gabba! CD release.Yo Gabba Gabba! "Music is Awesome" CD available now at Target, iTunes, or Amazon.com. YO GABBA GABBA! LIVE: THERE’S A PARTY IN MY CITY, will kick-off in Los Angeles on November 14 and will head from LA to New York and Chicago. Tickets are available via ticketmaster.com and YoGabbaGabba.com. Children under one year of age will be admitted free to sit on a parent’s lap. YO GABBA GABBA! premiered in the U.S. on Nickelodeon in August, 2007 and currently ranks as one of the most popular series on television with broad appeal among preschoolers, parents, teens and adults. The award-winning series stars DJ Lance Rock (Lance Robertson) and a cast of colorful characters, including: Brobee, the little green one, Foofa, the pink flower bubble, Muno, the red Cyclops, Toodee, the blue cat-dragon and Plex, the yellow robot. Today’s most popular names in movies, television, music and sports flock to guest star in the groundbreaking show, including Jack Black, Rachel Dratch, Melora Hardin, Tony Hawk, Biz Markie, Jack McBrayer, MGMT, Mark Mothersbaugh, The Roots, Andy Samberg, Amy Sedaris, The Shins, Amare Stoudemire, The Ting Tings, Jimmy Eat World and Elijah Wood, among others. 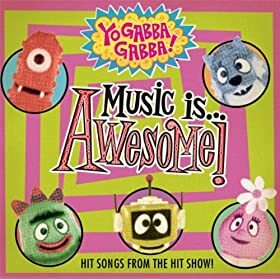 Yo Gabba Gabba Music Is Awesome CD! On Yo Gabba Gabba who is yout childs favorite character? 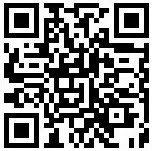 Follow Me on Twitter & Tweet about the contest. One winner will be chosen ! I will be using a random number generator to select the winner. Contest ends at 11:59pm CST on 11/10/09. If the prize is not claimed in 48 hours a new winner will be chosen.Contest open to U.S. residents only. Of course you're a part of my blogroll! My niece loves foofa! and this would be a great gift for her! My son likes Plex the Robot. Thanks for the chance. My son really likes Brobee. Thanks! My son loves Brobee! I think Brobee is a popular Gabba. Today it's Brobee. The other day it was Moono. hehe. We love Brobee and Dj Lance! My girls love Foofa, I like DJ Lance the best! Thanks so much for such a great giveaway! I follow your blog on Google Friend Connect as "maggie"
My son has 2 favorites, Muno and Brobee. Thanks for the giveaway! My son loves all of the Yo Gabba Gabba characters but his favorite is Plex. My daughters favorite is Brobee. We love Muno in our house! Brobee is our favorite!! Thank you! Brobee is our favorite too! My one year old is fascinated with Brobee and my 5 year old daughter likes Muno. My husband and I love to sing along to their music and the kids think it's hilarious. This show is so fun to watch. My neice likes Foofa. I wish that the Live Show was coming to our city.